These are all fantastic! 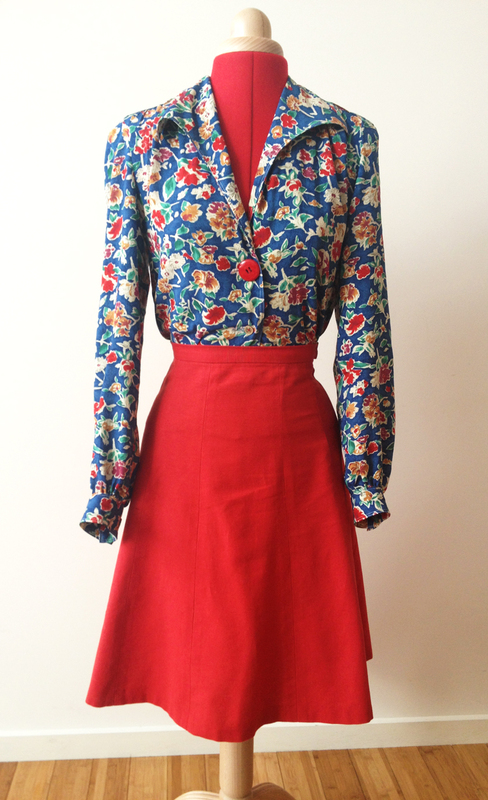 The blue blouse is stunning, I would have believed that it was authentic forties vintage! Great job! 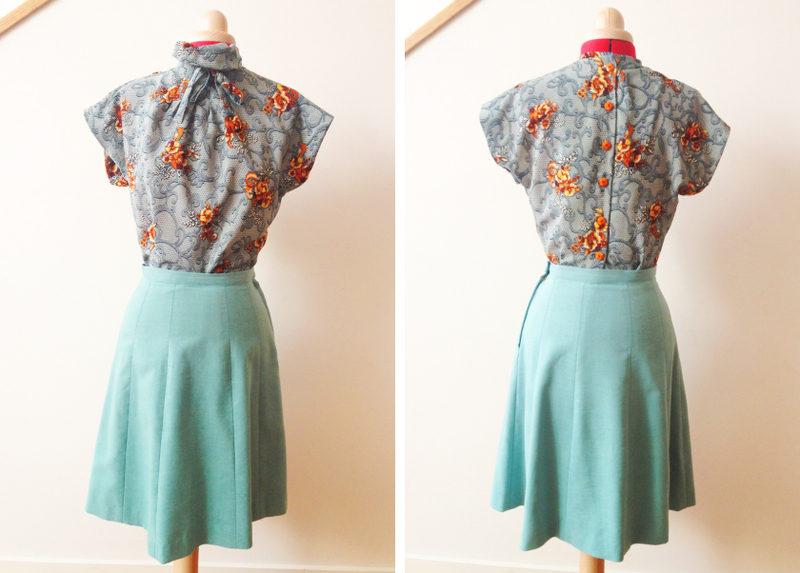 I’ve been going crazy for 40s blouses at the moment…I really like your fabric choices! i’m struggling to find somewhere to source something good lookin’ to make some blouses out of! happy sewing ! I love Forties blouses too, I just made a couple for myself. They rocked the separates during that era, I think because of the fabric rationing. Super cute! Love it! I must make some 1940s blouses with a huge button. The forties are great…I love the novelty fabrics that they used.